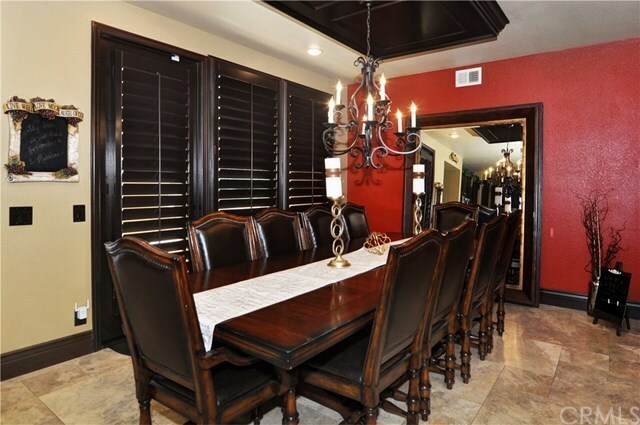 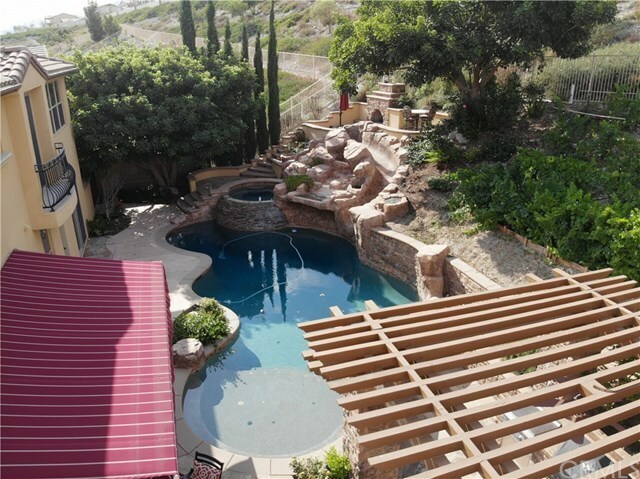 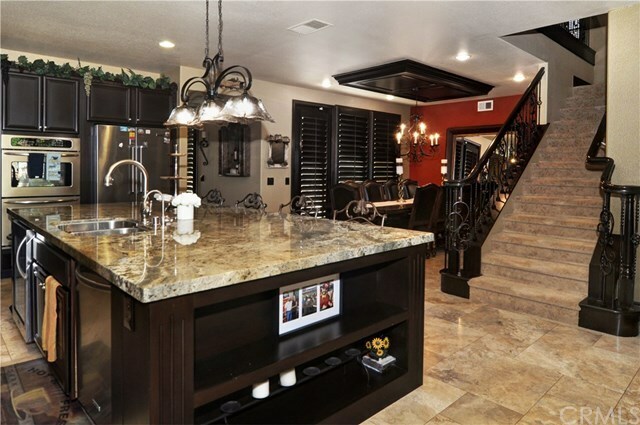 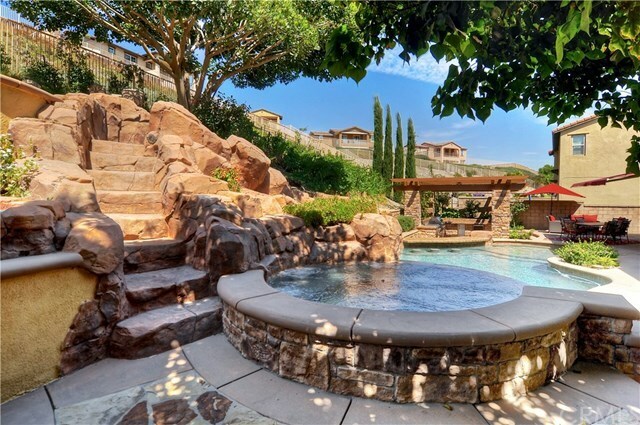 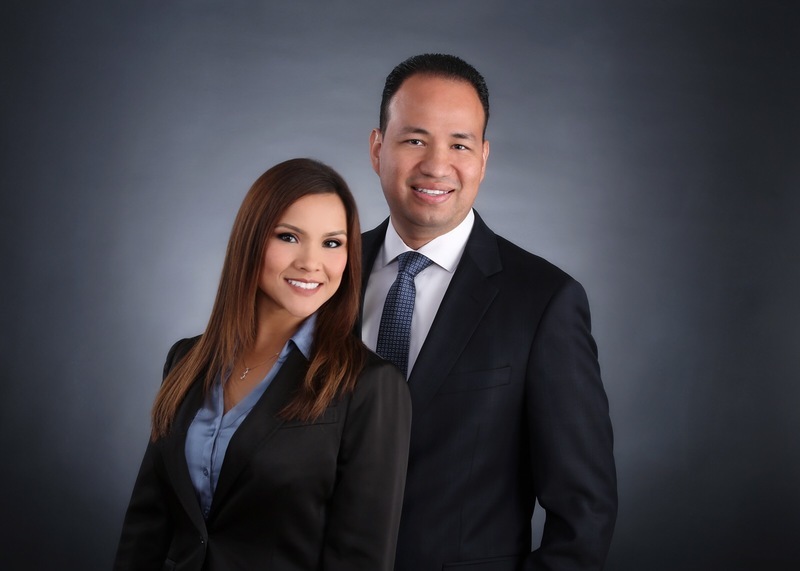 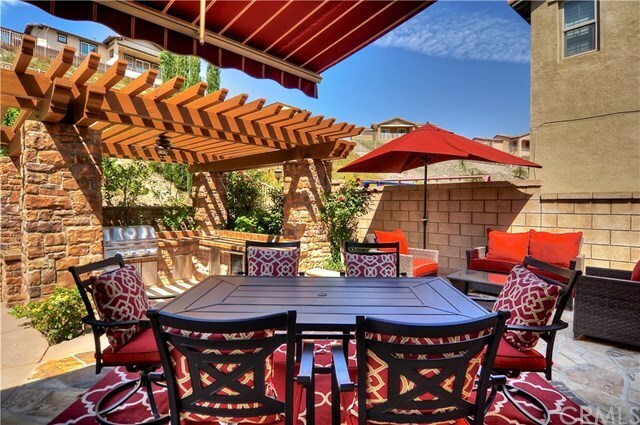 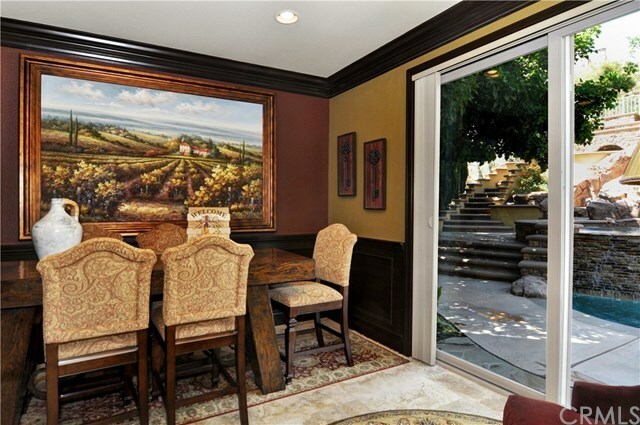 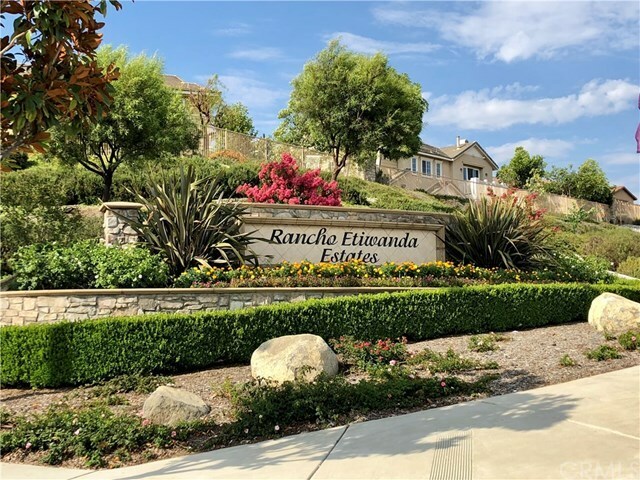 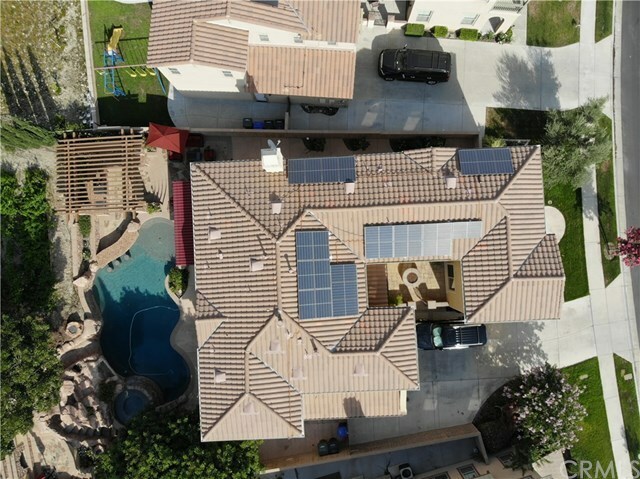 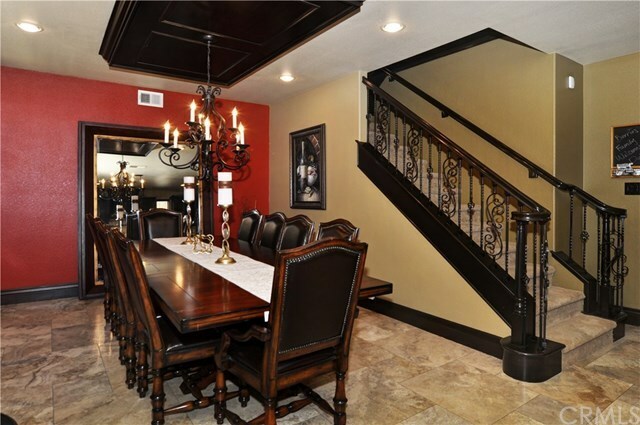 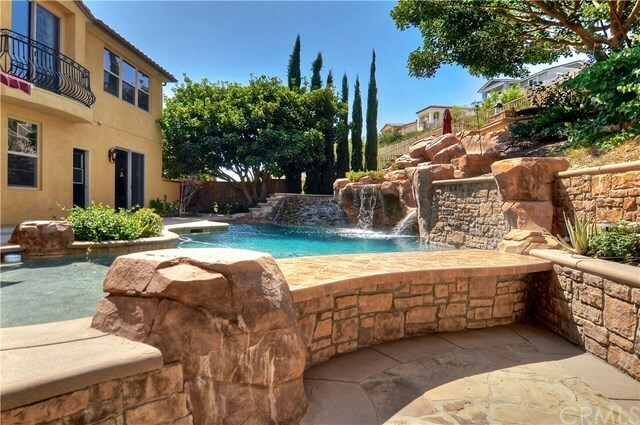 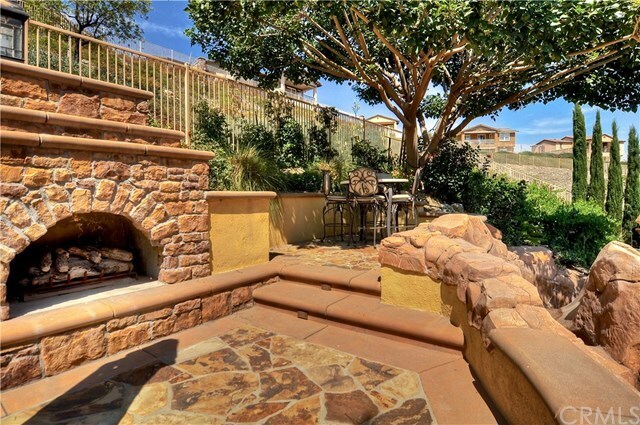 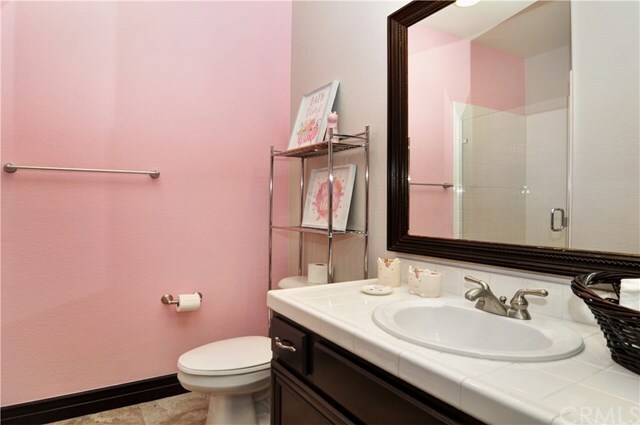 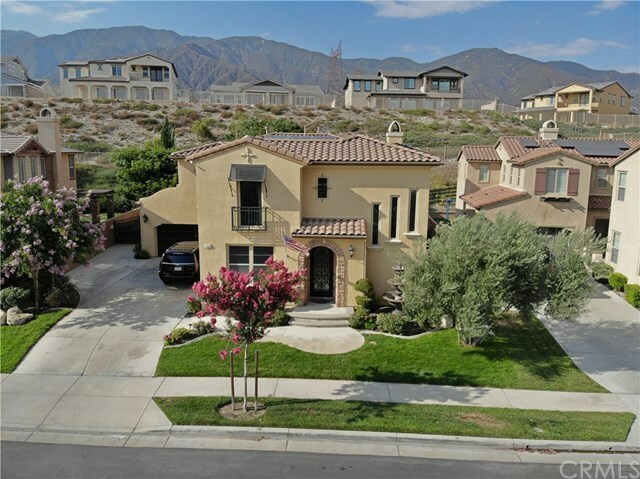 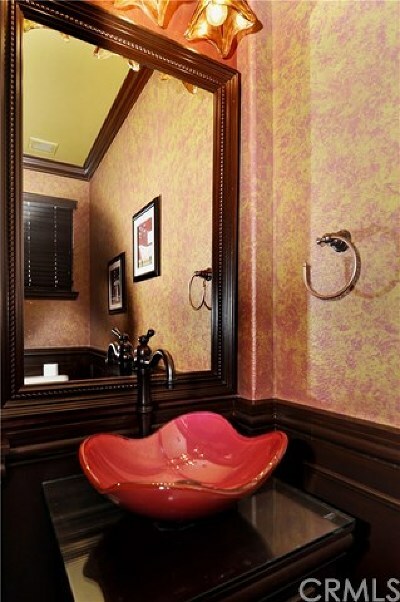 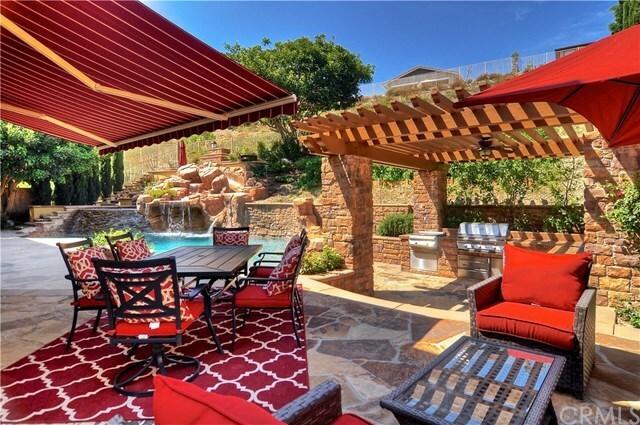 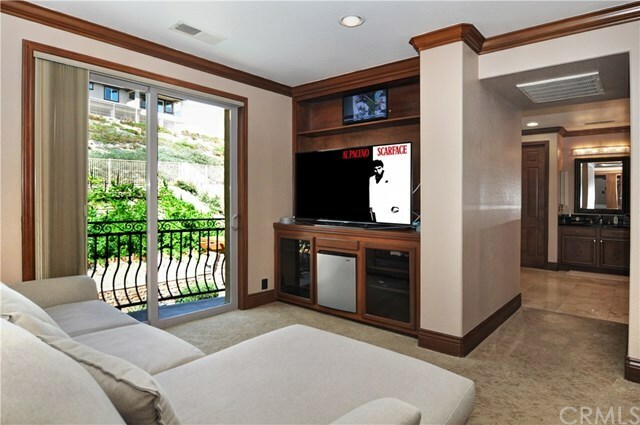 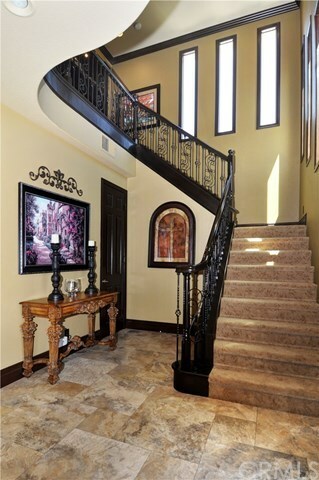 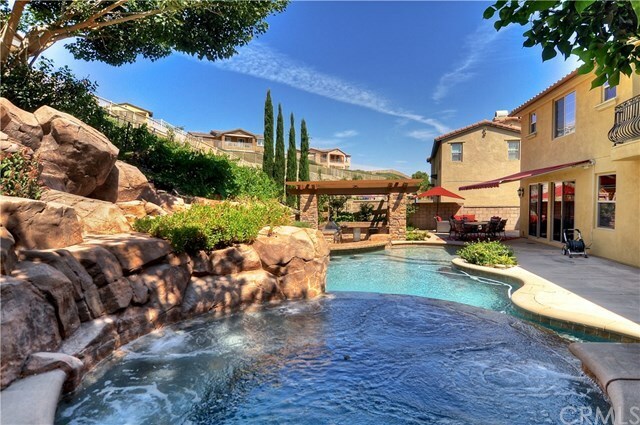 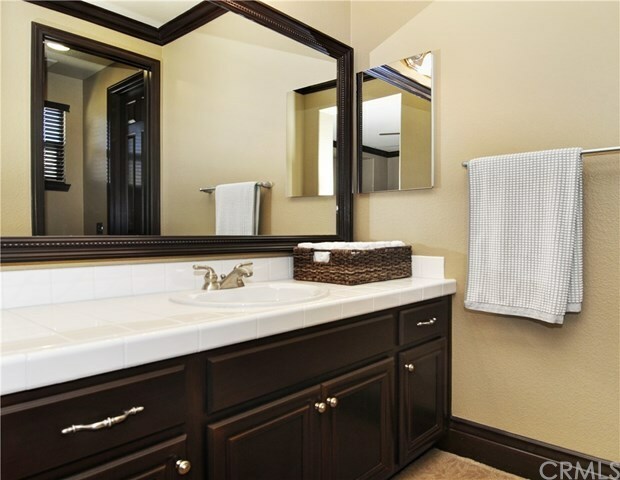 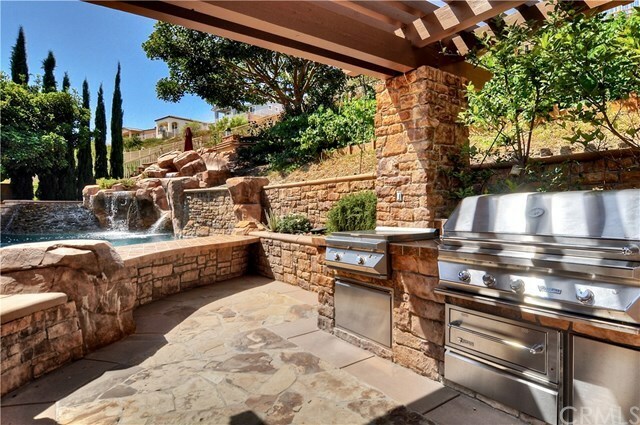 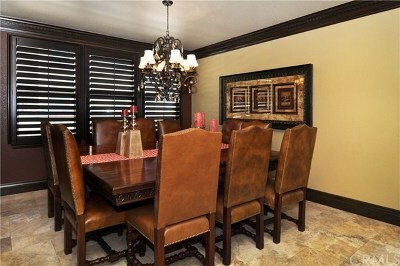 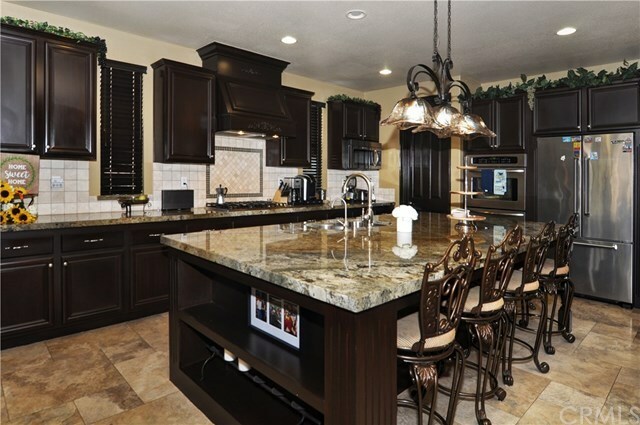 This gorgeous estate located in the prestigious community of Rancho Etiwanda Estates. 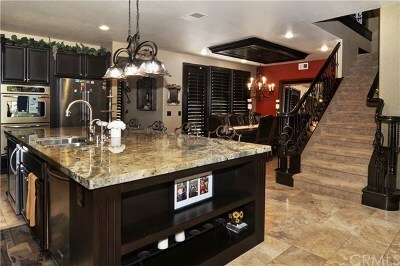 Amazing home boosts outstanding upgrades inside and out, professionally decorated with no expense overlooked. 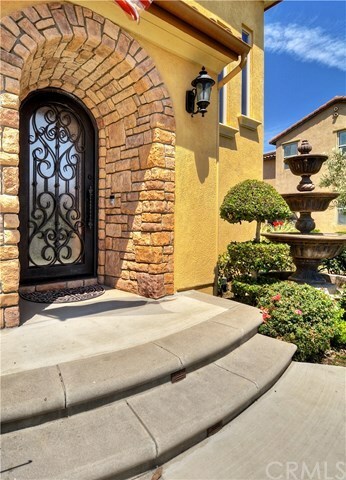 Astonishing stoned arched entry with wrought iron front door that leads to the welcoming entry. 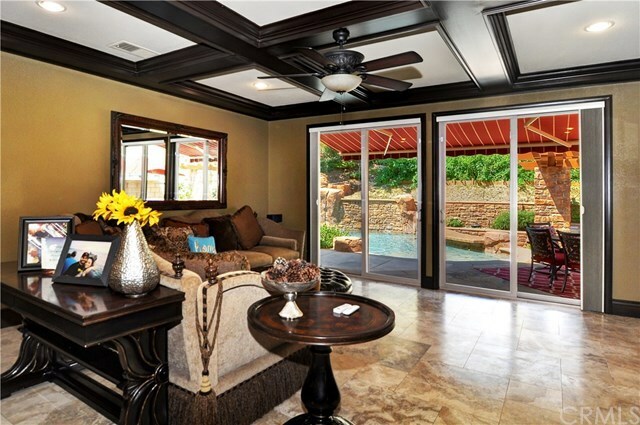 Living room complete with hardwood coffered ceilings and colored toned shutters throughout. Formal dining room and informal eating nook flows beautifully with this homes chefâs dream kitchen fully equipped with high-end stainless steel appliances and well sized center island with granite countertops.Family room complete with hardwood built-ins, cozy fireplace, and coffered ceilings is intertwined nicely with the kitchen to create a true great room living area. 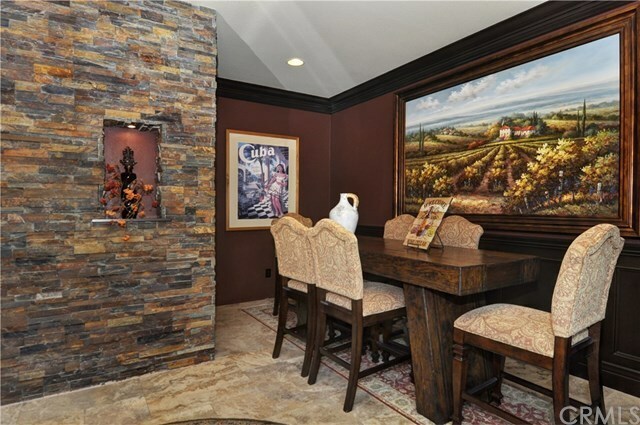 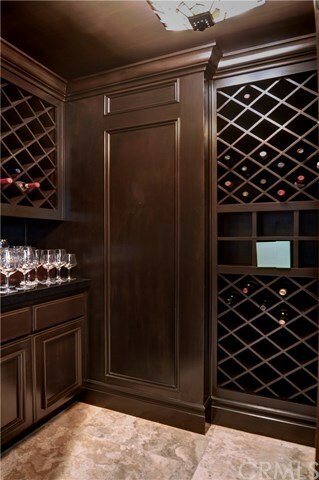 A nicely decorated office and wine cellar equipped with tasting room is fabulous for any wine connoisseur that can easily be converted to an optional downstairs bedroom suite. Dual staircases lead to upstairs living quarters equipped with three bedrooms, open loft office area, and movie/bonus room. 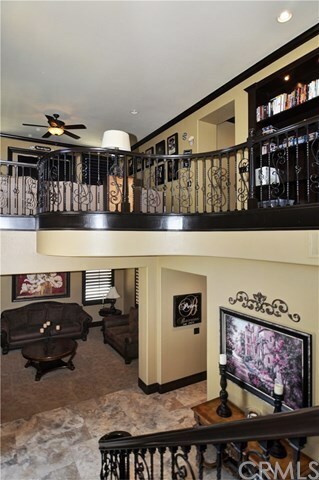 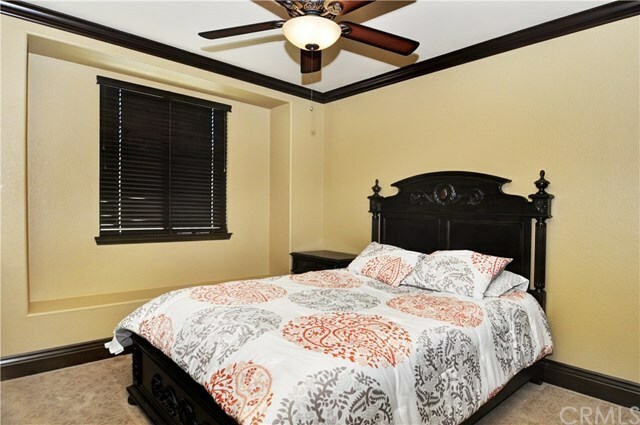 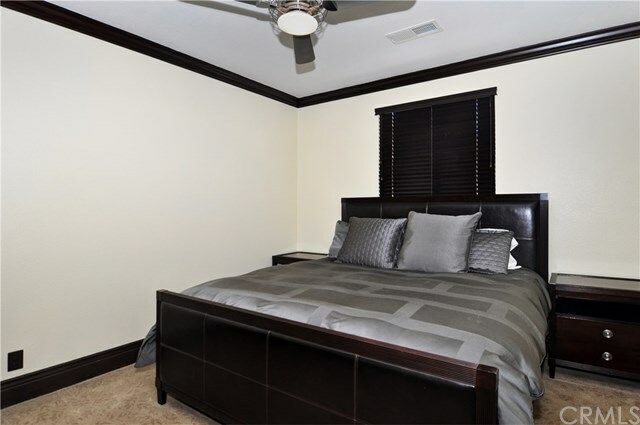 Master suite with retreat area, his and her closets, elegant mouth dropping bathroom. 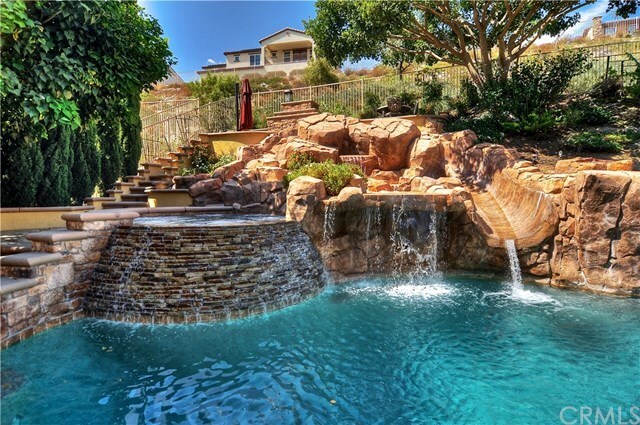 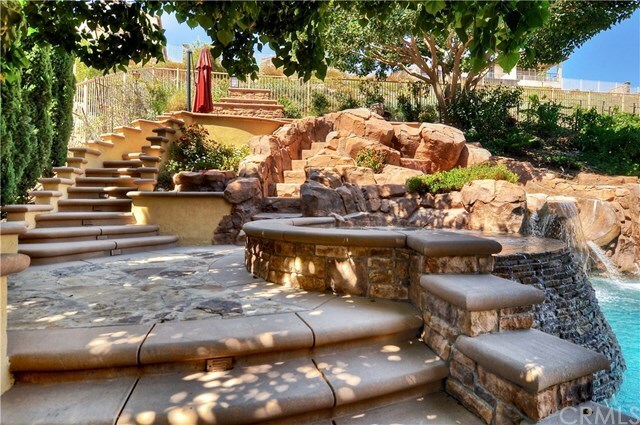 The low maintenance property boosts features such as a salt water rock pool/spa with cascading waterfalls and slide. 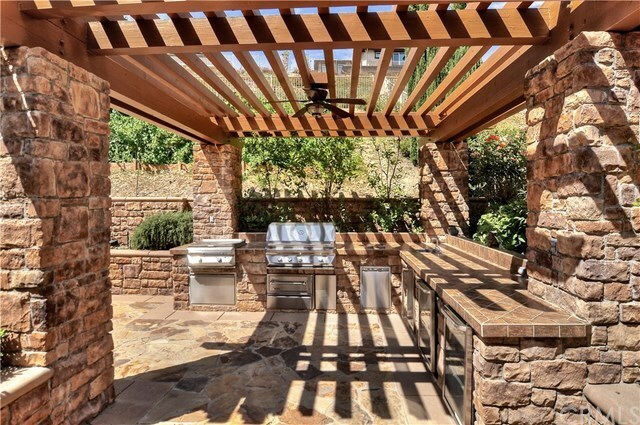 Sunk down barbecue area, outdoor fireplace with seating and of course your own private vineyard. 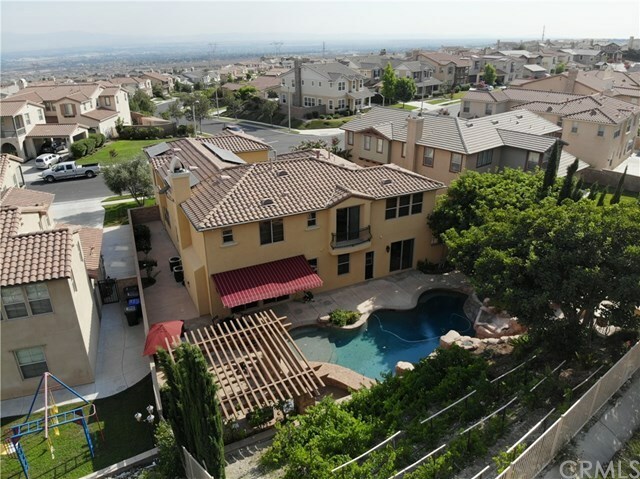 Excellent CA Award winning Gold Ribbon elementary, middle, and high schools. 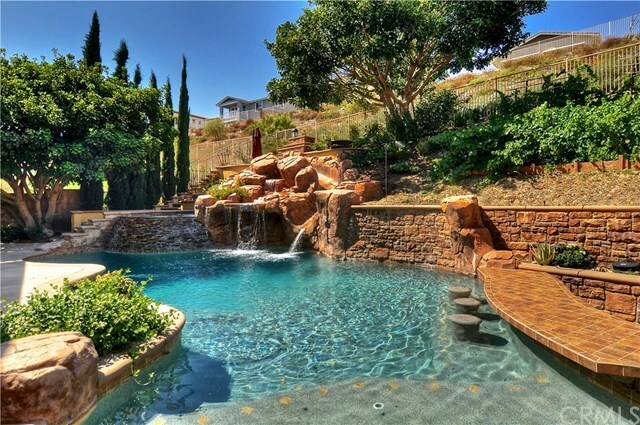 This home is an absolute must see paradise!